George Lullfitz will stage a winter flower display this week. It will include his amber-coloured kangaroo paw hybrid,his Kalbarri cascade groundcover (Thryptomene baeckeacea), red pokers (Hakea bucculenta) and up to 60 other WA natives. 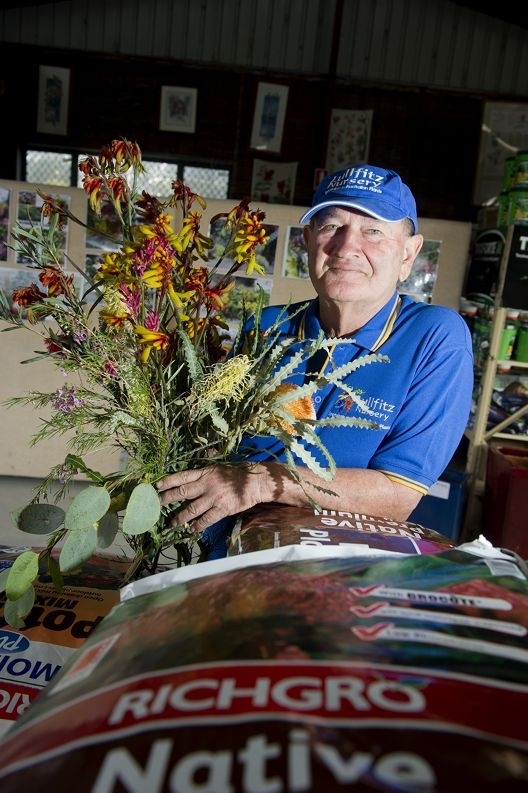 George, who has more than four decades’ experience growing and selecting WA plants, has long promoted them for urban landscapes, road verges and median strips. Though continuing to do seasonal displays, this will be his last winter flower display at Lullfitz Nursery Wanneroo. His career started with work at the Kings Park Nursery and Botanic Gardens.